Karen Buesing has counseled and represented management in employment law matters for more than 30 years. 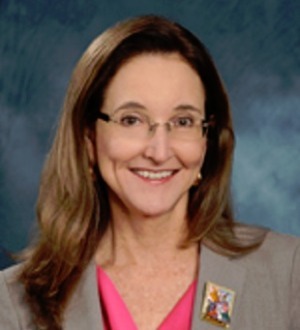 She is Board Certified by The Florida Bar as a specialist in Labor & Employment Law. She has represented businesses, small and large, in litigation matters before local, state, and federal agencies, state and federal courts, and arbitration panels. Her experience includes discrimination and harassment claims, investigation, and litigation; whistleblower litigation; wage and hour litigation; non-compete and trade secret litigation; employment contract negotiation and litigation; litigation of fiduciary obligations; litigation of minority shareholder/partner disputes in closely held entities; and all aspects of employment counseling and training. Additionally, Karen assists health care providers, financial institutions, and others in complying with their obligations to customers, patients, and companions who have hearing or other disabilities or are of Limited English Proficiency, including development of Section 504 compliance plans, ADA compliance plans and training programs, and representation in investigations of alleged violations. Karen is a Fellow of the College of Labor and Employment Lawyers, and has been recognized by Chambers USA and The Best Lawyers in America. Florida Trend's Legal Elite 2011, Inducted into the "Hall of Fame"
Super Lawyers Magazine 2009 and 2015, Listed in Florida as a "Top 100 Lawyer"
Super Lawyers Magazine 2009-2010, 2012-2016, Listed in Florida as one of the "Top 50 Women Lawyers"